These are the wise words of 17-year-old Meryl (pictured above) from Lima, Peru. Meryl has been attending our program since she was 3 years old and is the first in her family to go to college. Now in her second year of studies at university, she’s also a volunteer at her Compassion-assisted child development center and a private math tutor. “Before applying to the National University of San Marcos, I was very nervous and I thought I couldn’t do it, but one week before the admission exam I got a beautiful letter from my sponsor. She sent me this verse in Joshua 1:9 to be strong and brave, don’t be afraid; do not be discouraged, for the Lord my God will be with me wherever I go. And I entered the university in the first try, and now I am studying biology!” said Meryl. It takes courage to battle the lies that this world tells us like Meryl did. And sometimes it takes our community to remind us that we are brave like Meryl’s did. Meryl’s limitless attitude is the inspiration for this month’s edition of Totally Worth It, our series of curated stories to ignite your compassion … or in this month’s case, your courage! 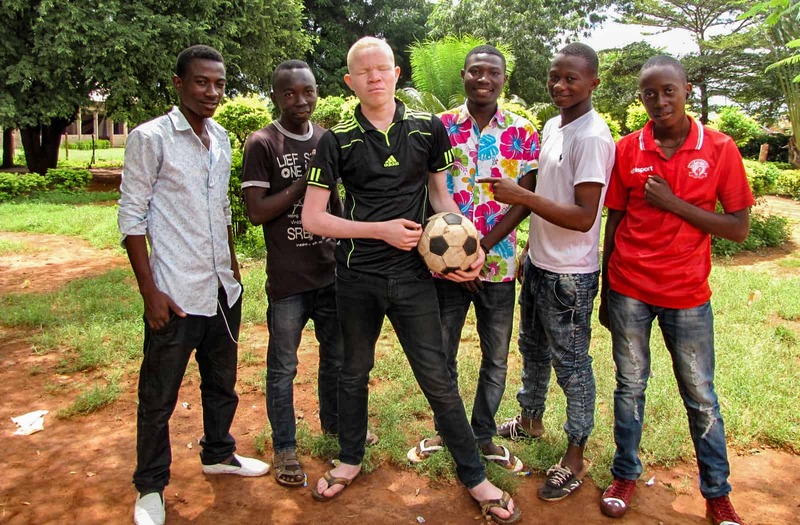 In Tanzania, there has been a string of murders and attacks on those with albinism. Their body parts are believed by some there to possess magical properties and are being sold on the black market. This is where Yona was born. Struggling under the weight of poverty and fearing for his life, Yona’s parents couldn’t afford to send him to school. The shy young boy was bullied often and lacked confidence. But at five years old, Yona’s parents enrolled him in our program at their local church. Now a determined and confident young student, Yona is overcoming his fears. His family, Compassion staff and his sponsor are making sure he knows his true value and worth. Becoming a mom at the age of 14 is difficult no matter where you live. Now, couple being a teenage mom with the gripping realities of poverty and you’ve got a situation that is life-threatening for both baby and mom. 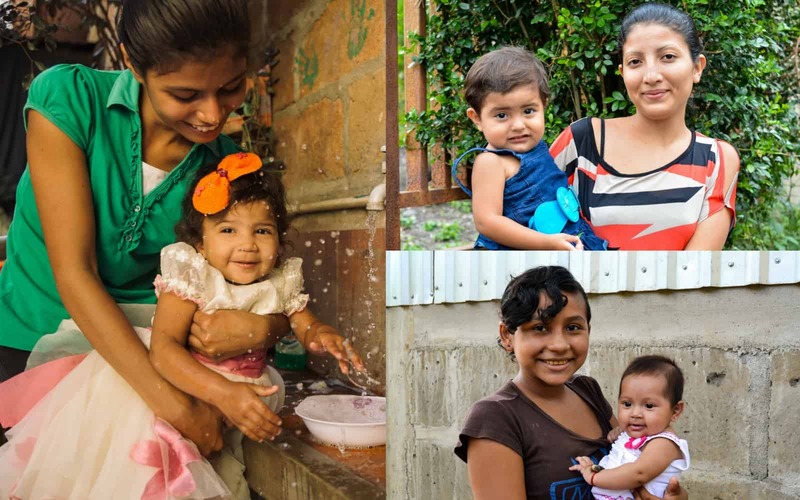 Even though they knew it would be difficult, teen moms Cindy, Nicole and Jennifer are raising healthy babies with the assistance of the Child Survival Program. They are determined to see their new little families blossom. Zangre was told that soccer was a boy’s sport. Her father didn’t want her to play. What would have happened if she had listened? What would have happened if she didn’t have her brother and Compassion staff to encourage her to be brave and use her gifts? She certainly wouldn’t have been selected to play in the World Cup Qualifiers on the Burkina Faso women’s national football team. Watch How to Play Soccer Like a Girl and subscribe to Compassion YouTube for more stories. Standing up to your parents is one of the hardest things any teenager can do. But imagine what it was like for 16-year-old Sampatya to tell her parents she wanted an education rather than go through with the arranged marriage they had orchestrated. She knew she had to say something, not just for herself, but for her sisters and the entire community. Sampatya’s parents didn’t respond well to her decision, so she reached out to the Compassion staff at her child development center. With their help, her parents called off the marriage and she attended college to study humanities. Because of her boldness, the staff conducted awareness programs to educate village elders about the implications of child marriage. 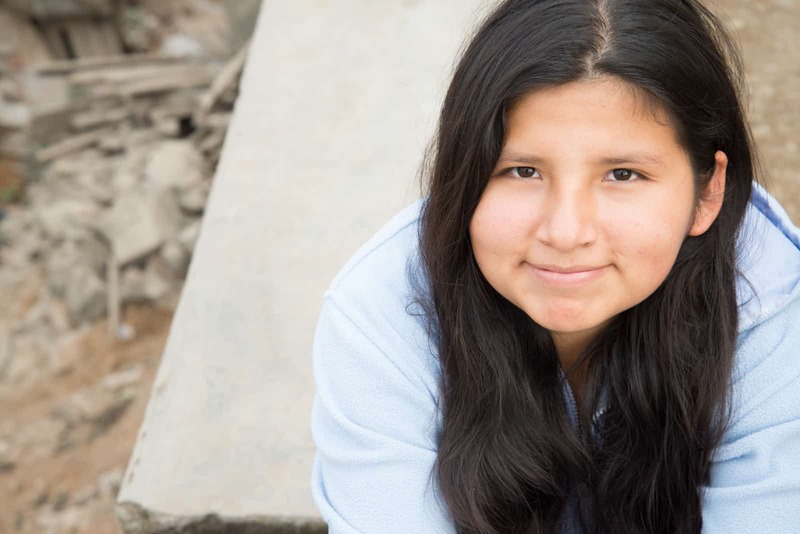 Compassion tutors Noemi and Lili were faced with an unthinkable disaster in Piura, Peru. 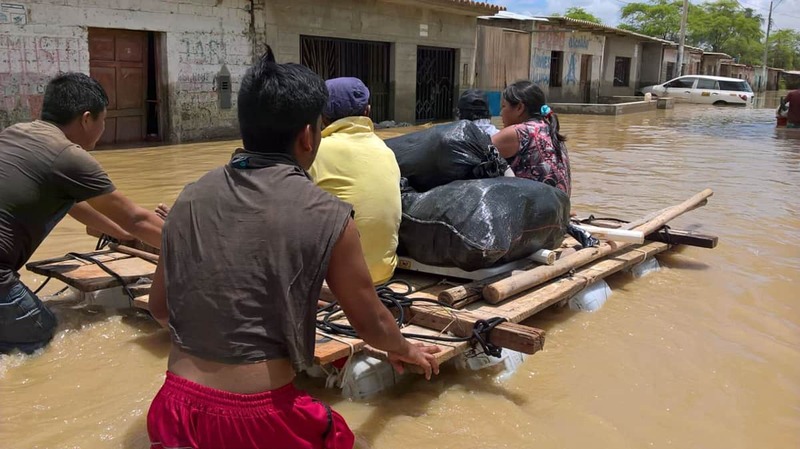 While teaching some of the mothers and babies in our program, torrential rains consumed their community and flooded their streets with rivers. The brave tutors helped the moms and babies to the safety of their roofs of their homes. And it was there that they spent 12 hours waiting for the waters to recede and hoping for rescue. Back on drier land, Compassion Partnership Facilitator Adrian was doing everything he could to get to the families and the tutors. He and three men from a neighbor church built a makeshift raft to rescue them and others from the rooftops. 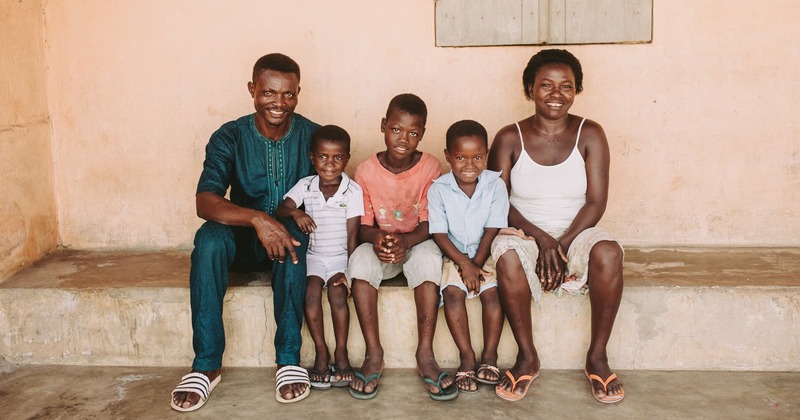 More than half the people in Togo practice Voodoo and Alkobessi’s parents were no different. They served regularly at their shrine partly out of devotion but also out of fear. “If we dare to leave the idols, we don’t know how it will be. Some of us tried it and they died. That’s why we are afraid, because we are intimidated every day,” Lossou, Aklobessi’s father, explains. Struggling to provide for his family, Lossou bravely enrolled 4-year-old Aklobessi in our program at a local church in their community. A month after she was registered, the priestess at their Voodoo temple kidnapped Alkobessi to undergo training rituals to become a vodoun apprentice – rituals that included consuming raw meat and drinking blood. It was there in recesses of the temple that Aklobessi stayed for almost a year. When the director of the child development center, Fernand Hloinvi, found out, he took immediate action. 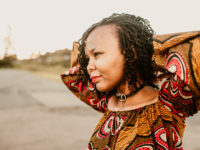 He mobilized 11 other church partners in the area, petitioned the government for assistance, and reached out to the priestess to persuade her to release Aklobessi. 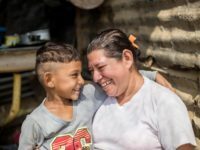 For 11 months, they kept up their fight to return Aklobessi to her parents and their perseverance paid off. She’s now back with her family and friends! She’s receiving the support she needs to process her traumatic experience. And most important, she got her childhood back. These Compassion stories remind us that we are stronger together. We are braver together. We hold on to courage because God is with us and we have each other. This is what it means to be part of the Church. When you feel discouraged … when you feel fearful … when you’ve begun to believe the lies, hold tight to Joshua 1:9 and let these stories of courage remind you that you’re part of a bigger community … a fierce one! 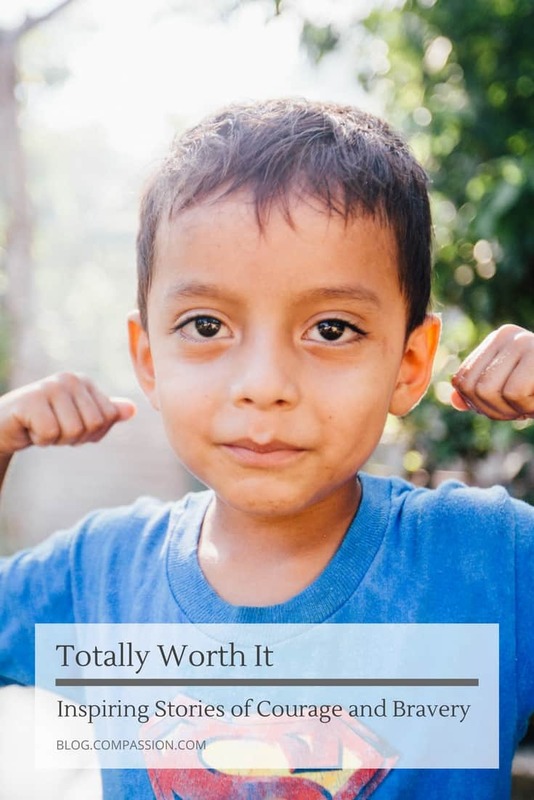 For more inspiration for your week, check out the previous installments of Totally Worth It! 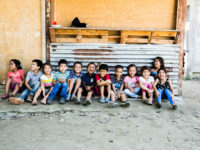 Meryl’s story and images by Betsy Grandez, Field Communications Specialist for Compassion Peru. I click the share link but it won’t share. I tried clicking the Facebook logo but it won’t share either. Hi, Liza! I’m sorry the links to share aren’t working for you. The teal “Share This” isn’t actually a link to share. But if you click on the Facebook, Twitter, etc. logos, those should provide you with a pop-up to share on that network. You might have pop-ups blocked in your web browser. Try disabling that then clicking again. If that doesn’t work, you can always share the link by copying and pasting it into a post on Facebook. Hope that helps!